Published December 31, 2017 at 750 × 611 in Happy New Year–Baja to the Mainland. 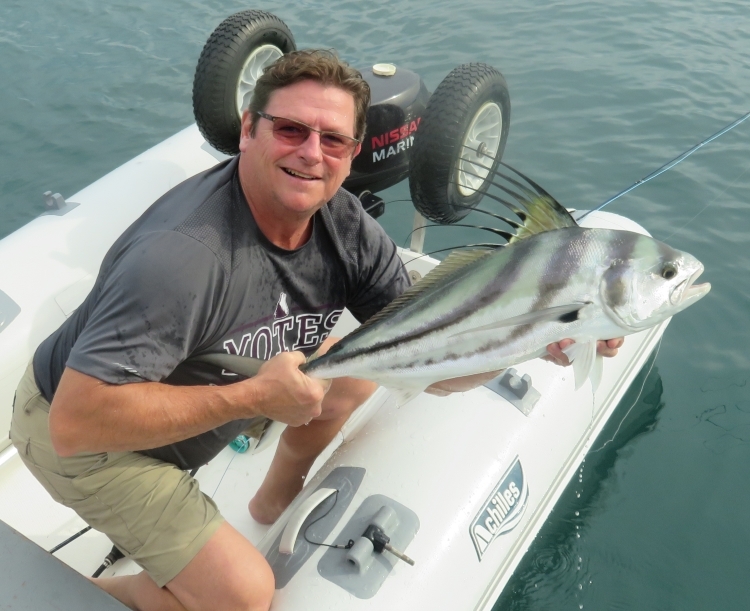 Greg caught this Rooster Fish on light fly tackle not far from the anchored Carmanah in Tenacatita. It put up quite a fight but was ultimately released unharmed once all photo ops were executed.